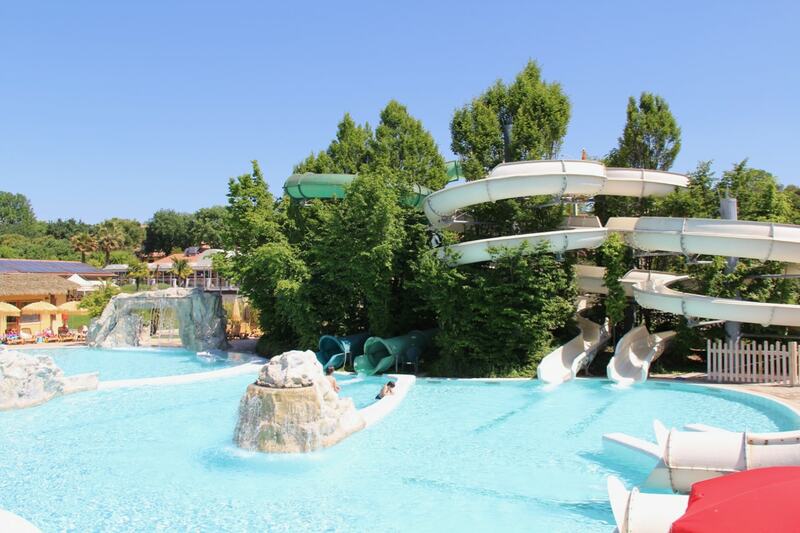 One of the best family campsites in Italy, Piani di Clodia , is spread along the shores of Lake Garda, Italy, offers four different ways to escape the summer heat… a huge water park, gentle swimming pools, a dip in Lake Garda itself or through the spacious, shaded grassy pitches. 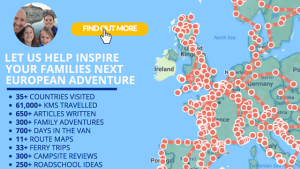 So if you’re looking to book your next summer camping holiday, you could do much worse than try one of Europe’s best campsites by a lake or river. 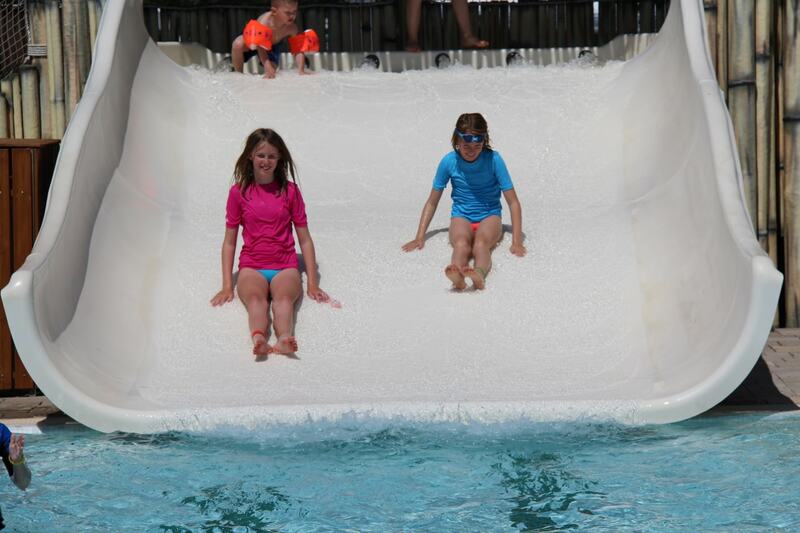 Think less sand, more a combination of sun, aqua parks and great food and loads of opportunities for family fun!!!. 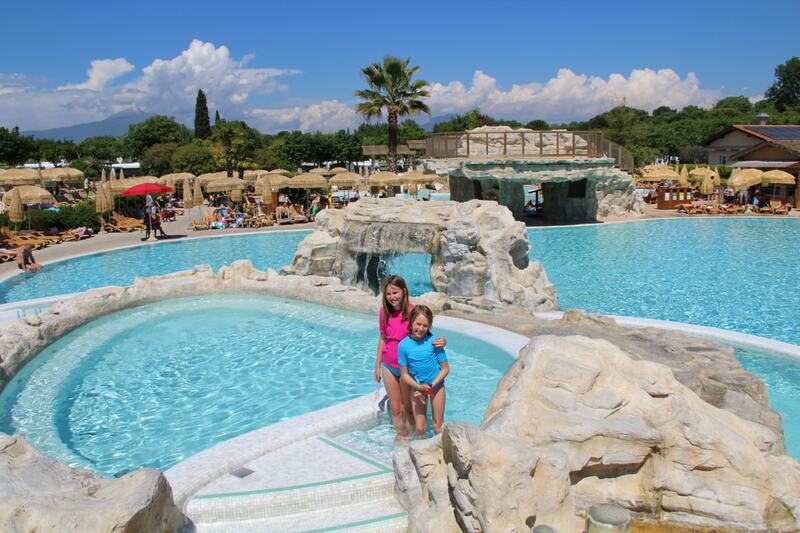 The terraced lake-view pitches at Piani di Clodia can be found on the south west shores of Lake Garda (close to the stunning peninsula of Sirmione) It’s undeniably one of the best we’ve seen in Italy and certainly worthy of comparison against Union Lido (another 5-star Leading Campings campsite near Venice). 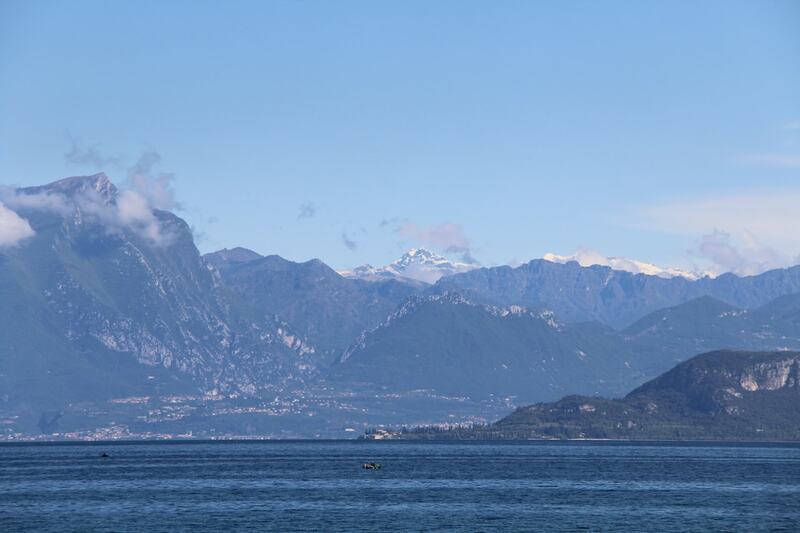 Flanked by steep mountains to the north, the clear water of Lake Garda only adds to the beautiful view.. 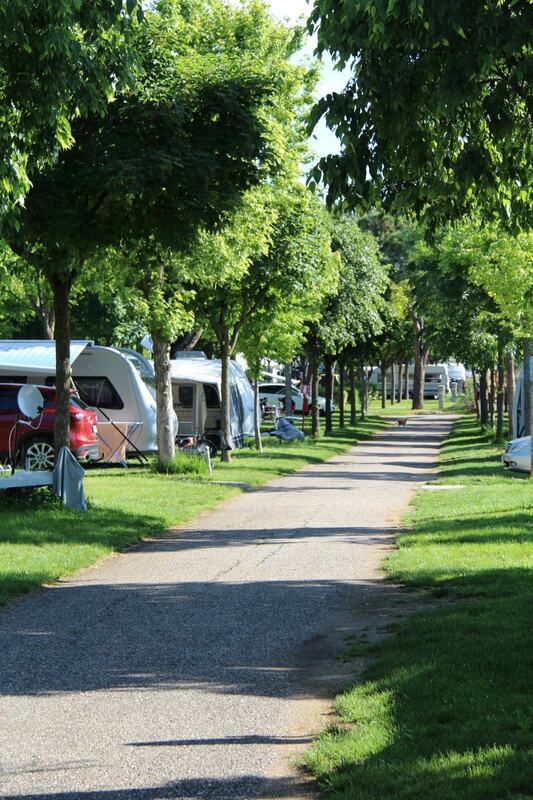 Whether you’re seeking a little tranquility, nature, comfort or an ideal spot for your family and your children… this campsite has something to offer you all… But perhaps the first place to start would be the campsite itself…. 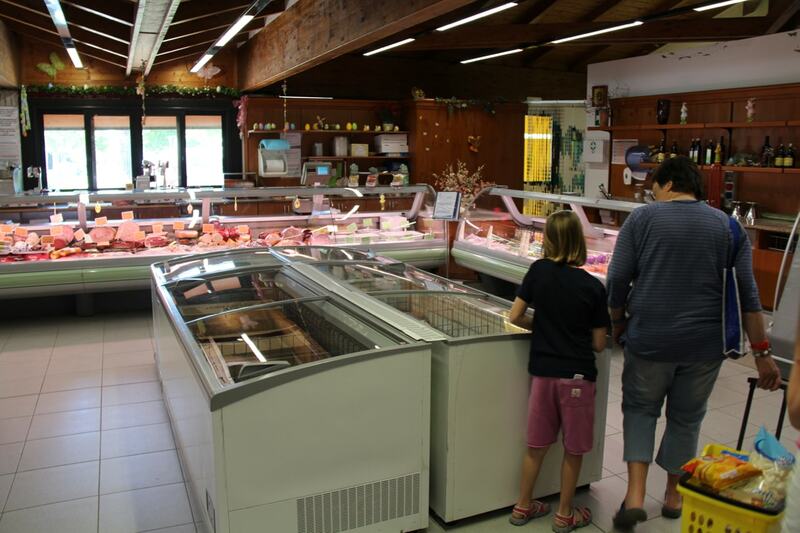 Sited on a gentle hillside towards the lake shore, it is lavishly covered in pine trees and boasts a mild climate (it was 25°C in early Mayl!) 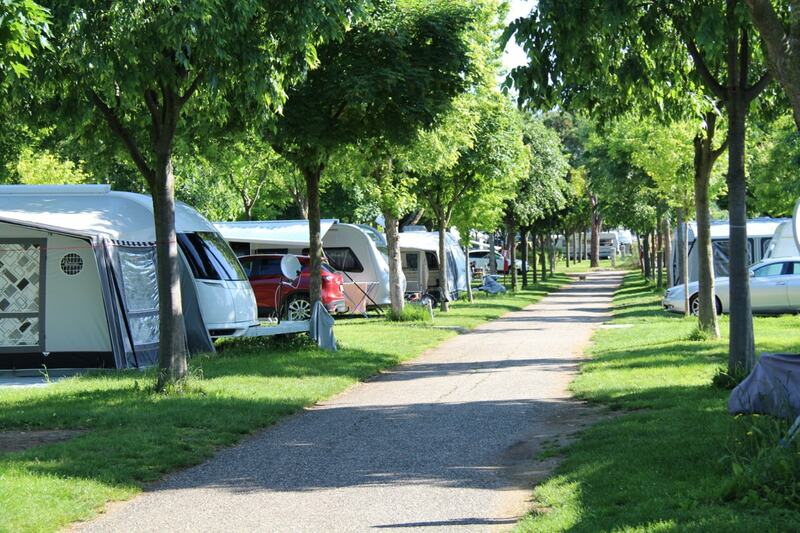 Each pitch offers plenty of space with the full facilities necessary to make it an enjoyable stay (water, waste, electricity) Each plot is shaded by the mature trees and the central campsite ‘village square’ boasts everything you could need including hardware shops, markets and restaurants. 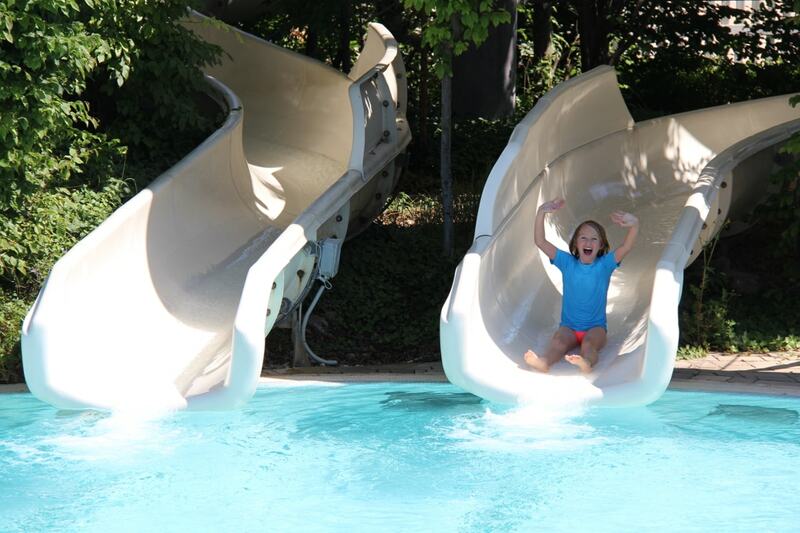 Add to that a private lakeside beach, sports facilities and a truly fabulous aqua park (that matches La Marina, Spain)… It really is a great destination for an active family to set up camp for a few days yet equally perfect for grandparents who enjoy exploring the local area!! 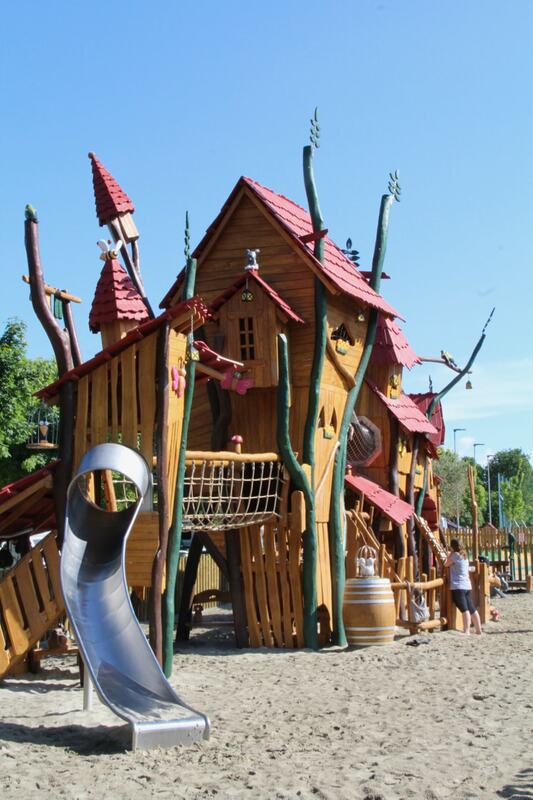 A play area at a campsite is an important facility for any happy family holiday (like these options back in the UK). 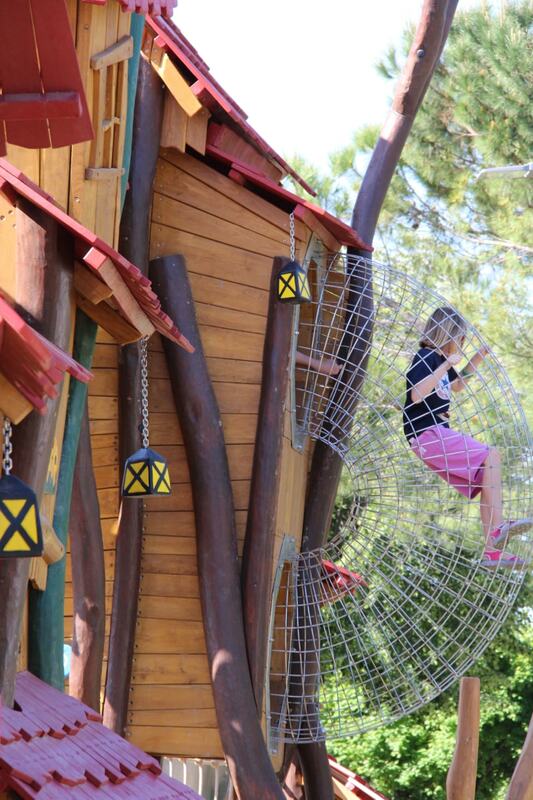 Especially as our girls love spending time climbing and exploring adventure playgrounds… but Piani di Clodia is exceptionally well laid out… Perfect for toddlers to teenagers… there is something to keep them all entertained and it’s safe too, with plenty of soft sand surrounding the sizeable ‘Whacky Playhouse’. 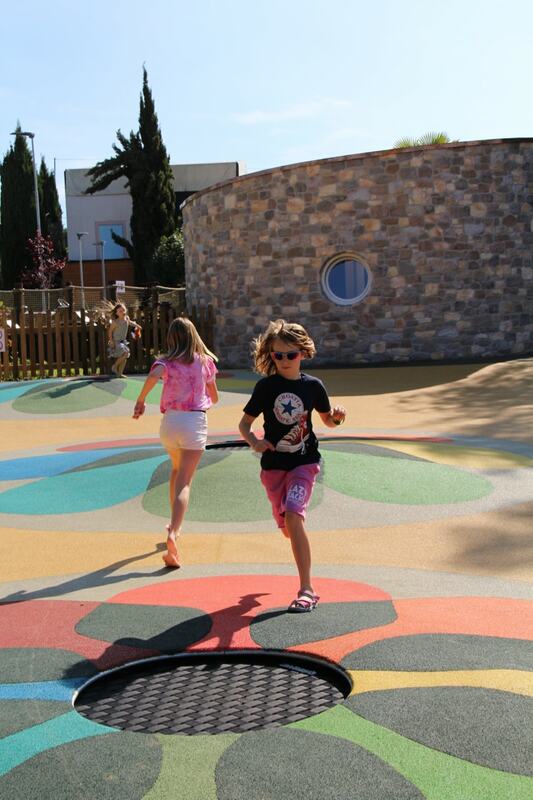 So if your kids love the sound of enormous flower shaped trampoline play parks… they might just enjoy it here! It’s also worth mentioning accessibility. 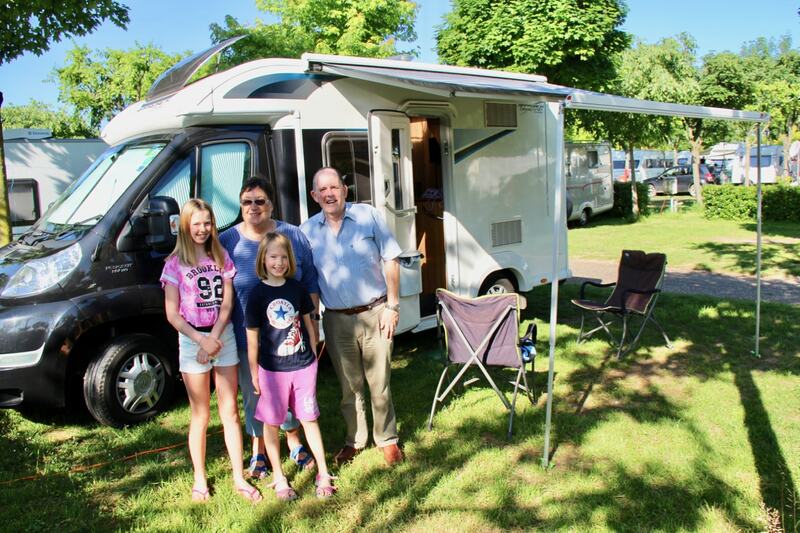 Not just that the girl’s grandparents found it easy to access all parts of the campsite, but also the feeling of safety across the entire site that is crucial when visiting with young children. 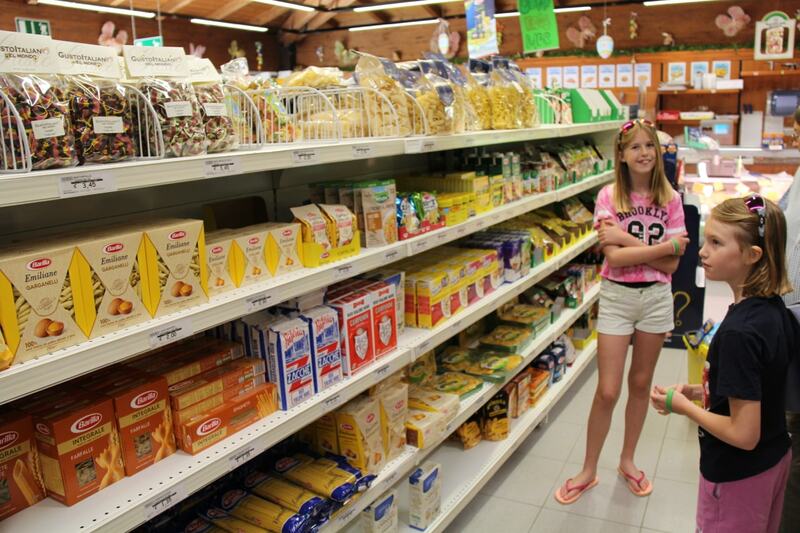 In fact, Lottie and Libby even grabbed the camera themselves to take these pictures in the campsite’s ‘farm shop styled’ supermarket. 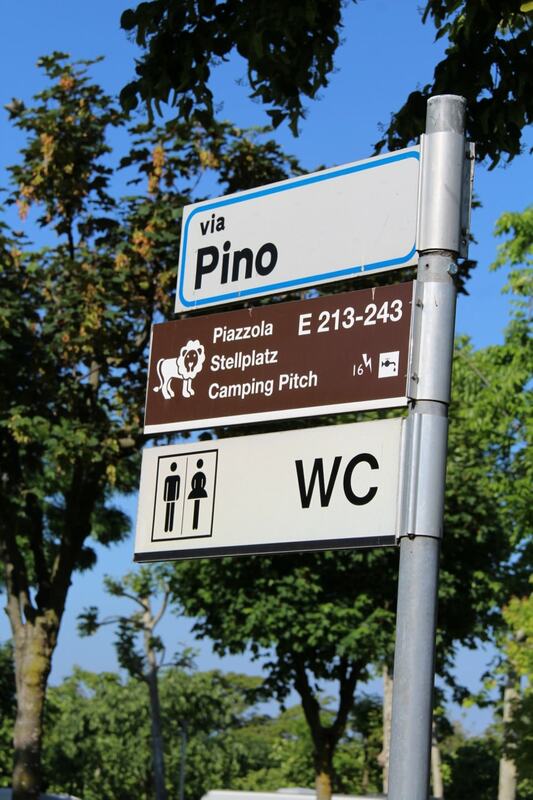 The campsite is constantly being upgraded for more comfort and services (see here for details)… with gleaming new sanitary areas (although we thought the old blocks were more than adequate too!). 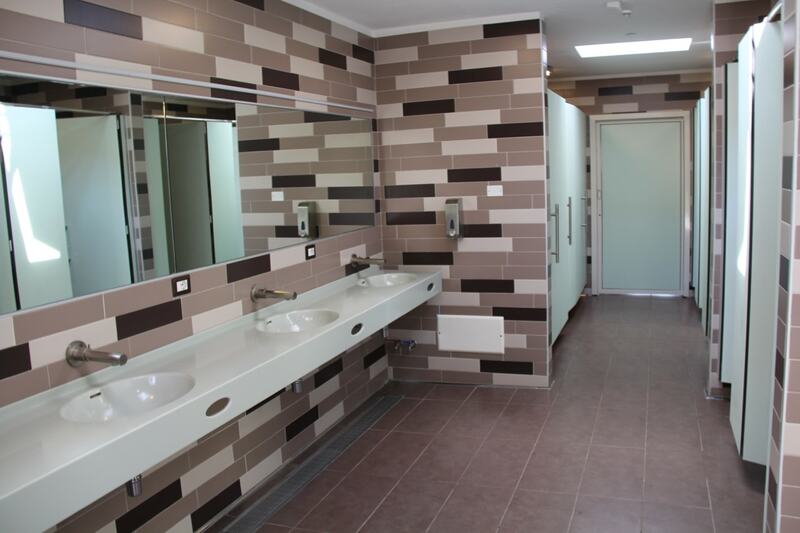 Think glitzy tiled splashbacks and gleaming stainless steel WC or sanitary, washing areas…. It’s fair to say design counts for this site and it does make it that little bit more luxurious for those who use these facilities. 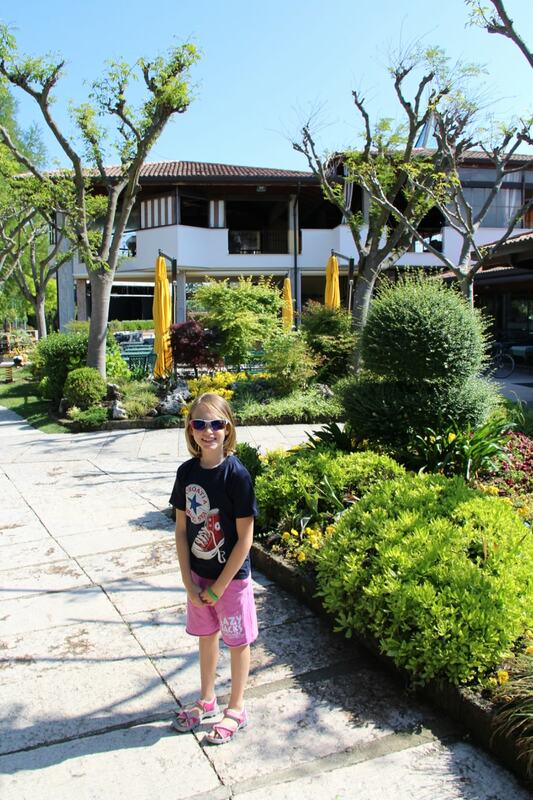 Whether you’re camping, touring or staying in one of their luxury mobile homes… it’s the perfect place to enjoy one of Italy’s most beautiful regions at Lake Garda …. and we’d happily return in a heartbeat! 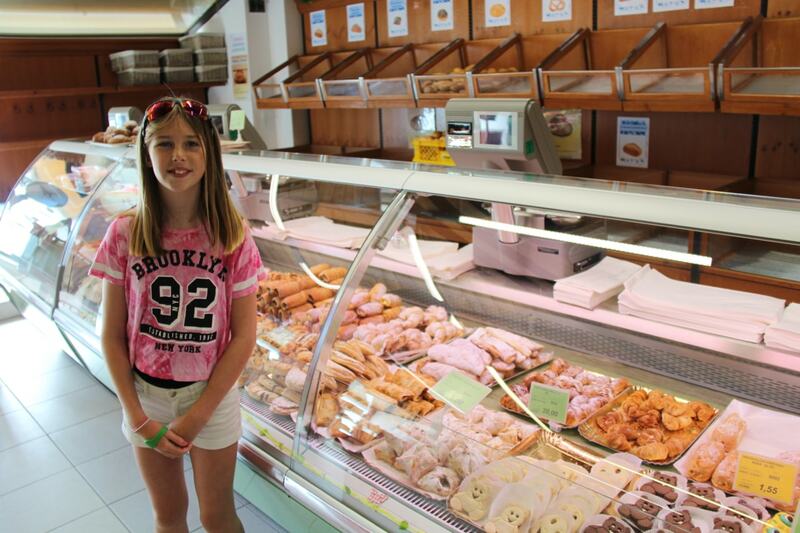 It’s been a great start to our adventures southwards towards Croatia.